Mom, Do You Feel You’re Not Strong Enough? Ever feel like you’re not strong enough? Like you can’t do this parenting thing on your own? The boy first used a shovel to dig out around the large stone. But when he leaned into it to shove it, it didn’t budge. He then ran to the tool shed to bring the pick ax, thinking he could chop it to pieces and carry them off one by one. But try as he might, he didn’t have enough strength to hit it hard enough to break it. Next, he drug over a board and a log and tried wedging it underneath the stone, like a lever, to dislodge it. He spent half an hour jumping from the stone onto the other end of the lever, but that didn’t work either. Finally, he harnessed his pet goat and tied him to the stone instead of the usual wagon, but the stone still wouldn’t budge. “Have you used EVERYTHING at your disposal, Son?” asked his dad? “There’s one more resource you haven’t used.” said Dad. “What’s that?” asked the boy. “I’d be happy to.” said his dad, and the two of them went out, and together rolled the stone to the edge of the field just as the sun sunk down in the west. Have You Used All Your Resources? How many times in parenting are you and I like the boy? We’re excited to be entrusted with the job of raising the next generation. We’re excited to use the tools at our disposal. But when the job gets hard and we’ve exhausted our resources, we feel like a failure, thinking we’ve done everything we can do, and forgetting our most powerful asset. 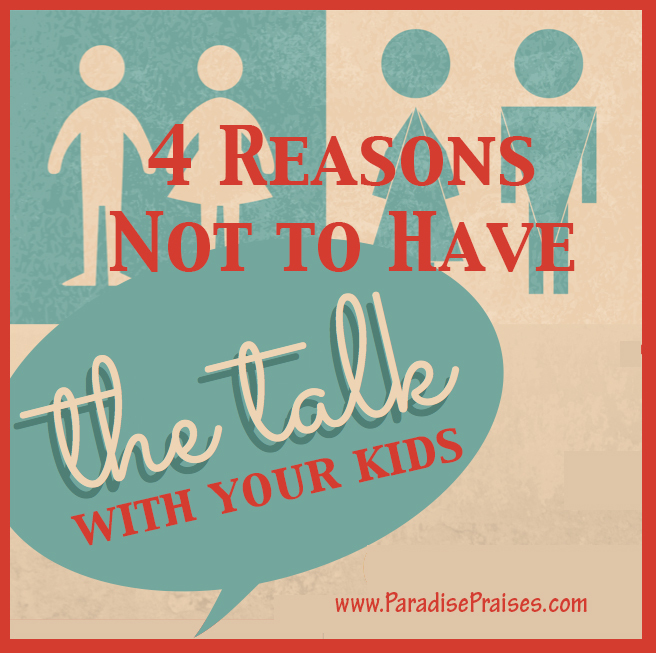 The Father doesn’t ask us to parent our children and raise our kids for his glory and then leave us alone to do it. He’s standing by at all times with the strength we need to get the job done, if we’ll just ask him. 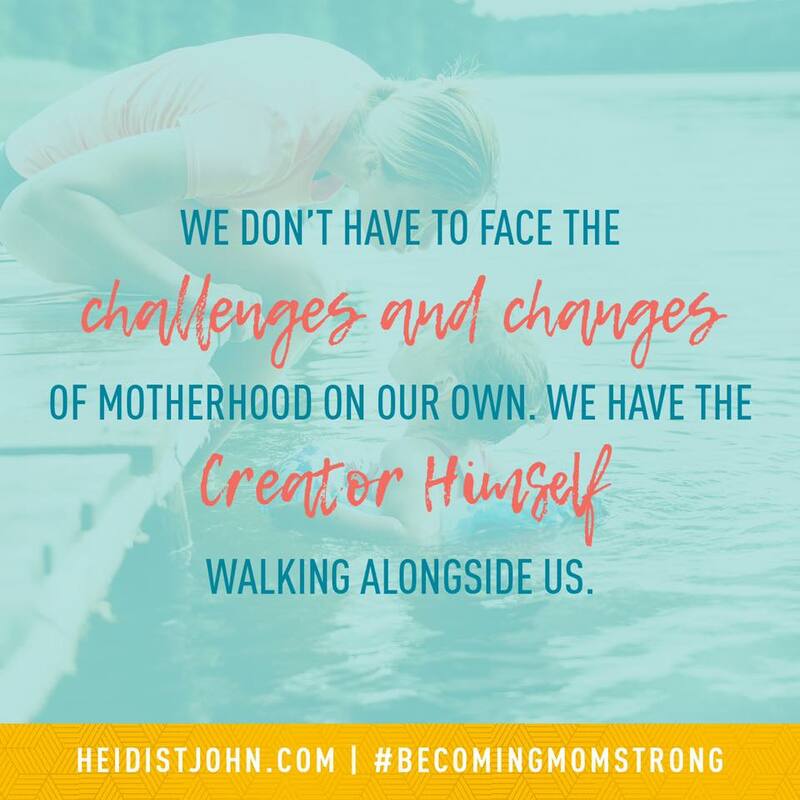 I was recently blessed to receive a publisher’s copy of my friend Heidi St. John’s new book Becoming Mom Strong (released 9/19/17), and participate on the launch team with her. 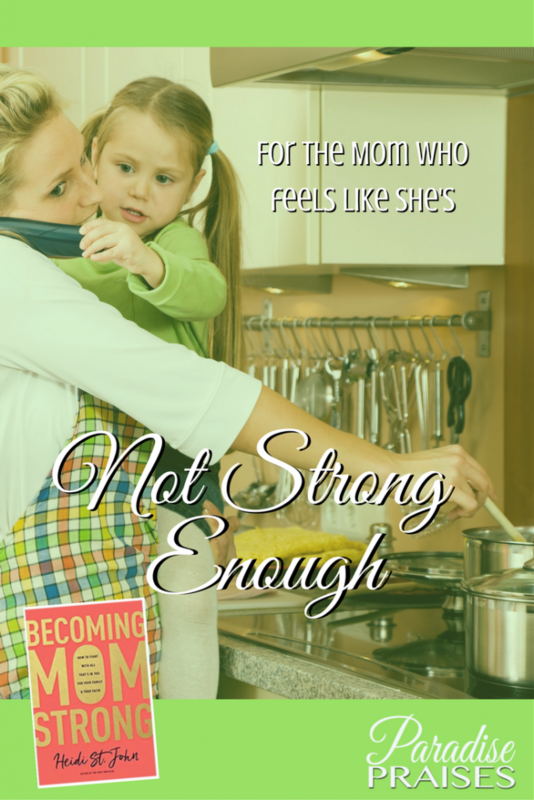 Becoming Mom Strong is an amazing book! In it Heidi teaches us that true strength comes from within, from a spirit fed by and led by the Holy Spirit. 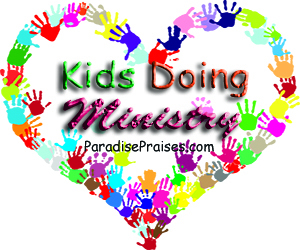 There is no way in the world to raise the next generation for the Lord without knowing Him and the power of His might. Heidi reminds me that as a mother, that I don't have to do it all, do it alone, or do it in my own strength. The Lord has promised to do it through me, with me and by His strength. But I must KNOW Him to take Him up on that promise. And I can’t know Him without being daily in His Word. 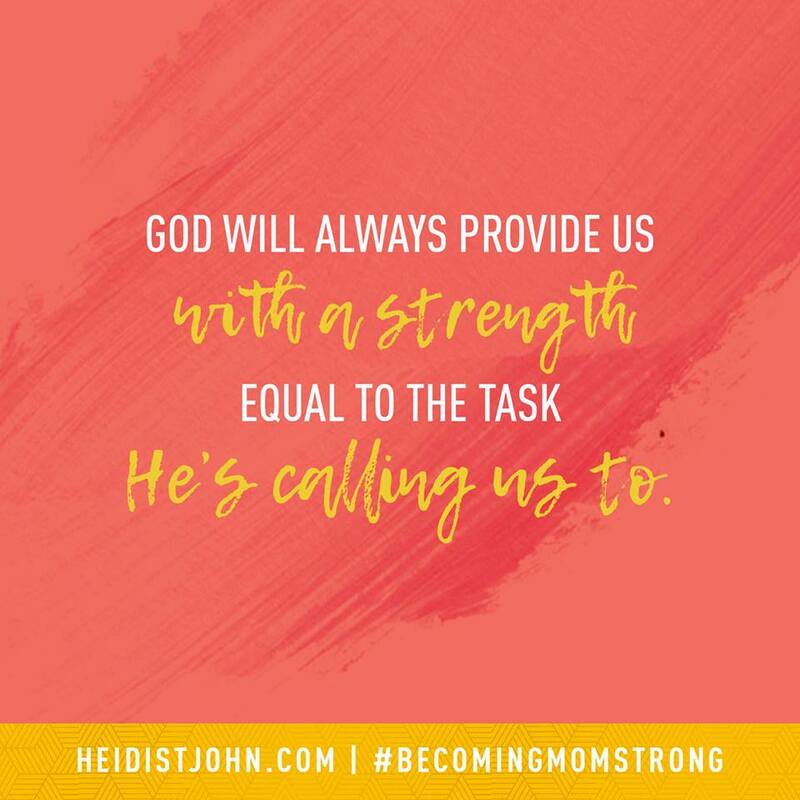 @HeidiStJohn reminds me that as a mother I don't have to do it all, do it alone or in my own strength. I also can’t give strength to my children that I don’t have. I can’t give clarity to them that I don’t have. It was a highly encouraging read for me and I think so perfect for the modern Christian mom of any age. But beyond just “an encouraging read”, the Biblical truths taught in Becoming Mom Strong can change your parenting and your life! Grab a copy of the book today and check out Heidi’s site to find and join one of the many Bible studies popping up around the country and online to walk through the book in community with other moms striving to reach their full potential in Christ. Who Else Feels Like a Wet Cat Today? Happy or Joyful? Do You Know The Difference?